Next week I’ll be heading off to my third consecutive Tour Down Under. Despite being a super keen cyclist who just can’t get enough, it was someone else who got me hooked on the Tour Down Under. The first time I attended the event was after I received a generous 30th birthday gift. My wife kindly gave me a week’s leave pass, including a two bedroom apartment at the 2012 Tour Down Under. I invited some mates, and off we went. 1. 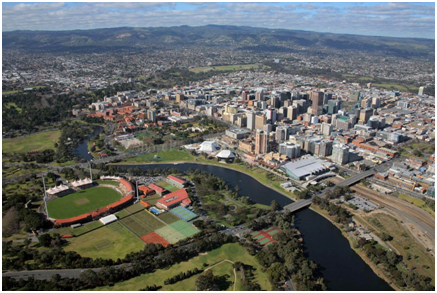 Convenient and easy: Adelaide is a quiet city, there are no arguments there. And while the Tour Down Under brings in people from all over Australia and globally, the city still remains quiet. You can book accommodation last minute, you can get around the city easily, and even find inexpensive parking for long periods. I come from Melbourne so I just pack the night before, chuck the bike on the roof in the morning, and I’m in Adelaide by early-mid afternoon. 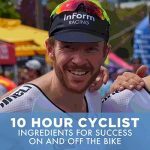 All the stages start and/or finish in the city or not far out so there’s no need to follow the riders around from town to town. In Adelaide you set your gear up once and that’s it. 2. Adelaide is built for a cycling event: I’ve travelled all around the world and I can’t think of another city that has wide roads, limited traffic, good weather and – best of all – is surrounded by beautiful rolling hills. The food quality is also very high (rivalling Melbourne’s) and the coffee is not bad either. I think that ticks all the cycling boxes, right? Adelaide is surrounded by parks, hills and blue skies – bliss. 3. Some of the best riding in Australia: Other than riding around the city and following the race stages, Adelaide has some phenomenal roads. You don’t have to travel more than ten kilometres out of the city to find the first climb, with not a car in site. Go a few kilometres further and you’ll be riding past beautiful strawberry farms along rolling hills. The coastline is not far away either, so there are plenty of amazing views on offer. 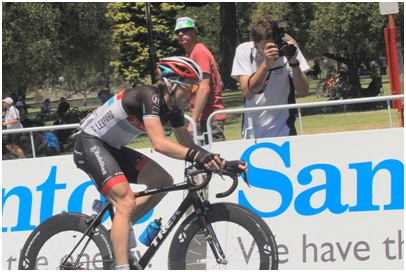 Check out this site to learn more about some of the climbs around Adelaide. 4. It’s in January (no one’s at work anyway): I’ve been working long enough to realise business doesn’t start picking up until after Australia day. People are either still on holidays or in holiday mode. Therefore, the guilt factor of taking time off work or asking the boss for some time off should be minimised. You also don’t need to take the full week. The best stages are towards the back end of the week, so you could make a weekend of it, catching the penultimate Willunga Hill stage (often the most exciting) and then the crit in the city on the Sunday. 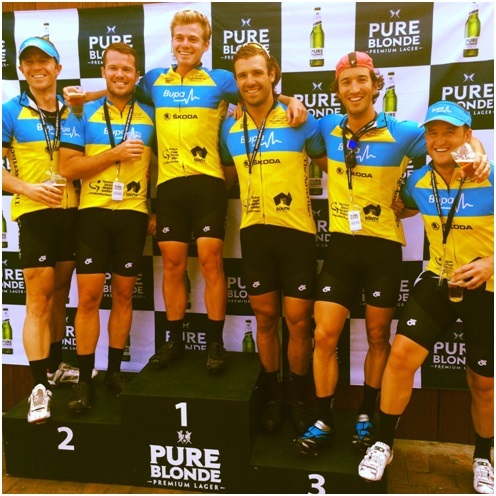 Some mates and I enjoying a couple of beverages after the BUPA ride. 5. It’s a world tour event: The first time I attended the Tour Down Under, we arrived on a Wednesday, just in time for the last hour of stage three. As we approached Adelaide, we pulled off the highway and perched ourselves in a beautiful pub, ready to watch the race go by. First came the police motorbikes clearing the way, then a break-away with riders from all the big global teams, followed by the peloton, with many grand tour riders, previous Tour de France winners and some of the best sprinters in the world. Following up the rear are all the team cars, with bikes, wheels and everything else cycling protruding from their vehicles. It’s the real deal and it’s all happening in Adelaide. 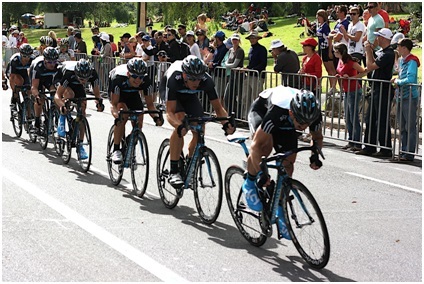 Team Sky demonstrating their lead out train at the Tour Down Under. 6. It’s our event, so get behind it: As Australians we love getting behind a local event, particularly when it’s on the world stage. Whether it is the Grand Prix, the Australian Open or the Cricket World Cup, we know how to make an event look well supported. The Tour Down Under has grown significantly over the years and there is no doubt that has a lot to do with the support it has received from the Australian public. 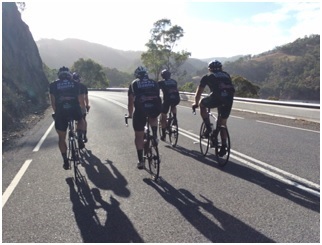 From the team at Bike Chaser we hope to see you at the Tour Down Under!